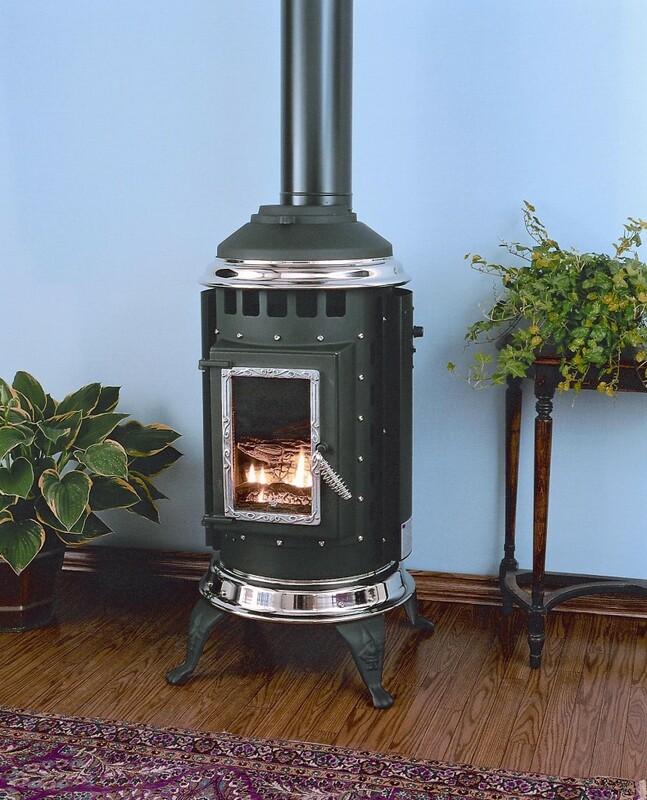 The Parlour Direct Vent Gas Stove’s classic “pot belly” styling hides a truly efficient gas heater core and heat exchange. Ceramic Ember Burner with Ceramic Logs provide a realistic wood fire effect. 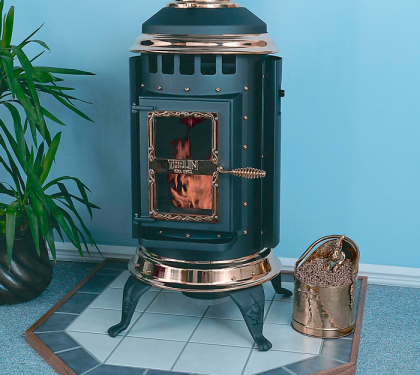 Your Parlour Stove will add a designer’s touch by selecting your own colors and nickel or gold accents. 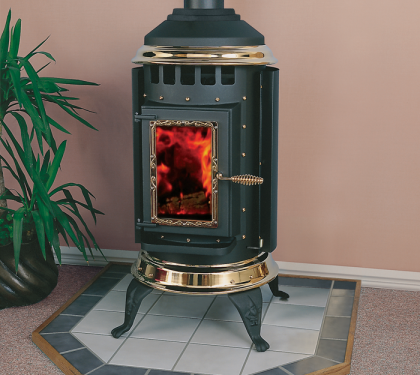 Simple through-the-wall venting makes this stove ideal for use in existing homes where vertical venting might not be possible. Adding to the overall value and efficiency is a variable speed blower system heating and circulating room air. 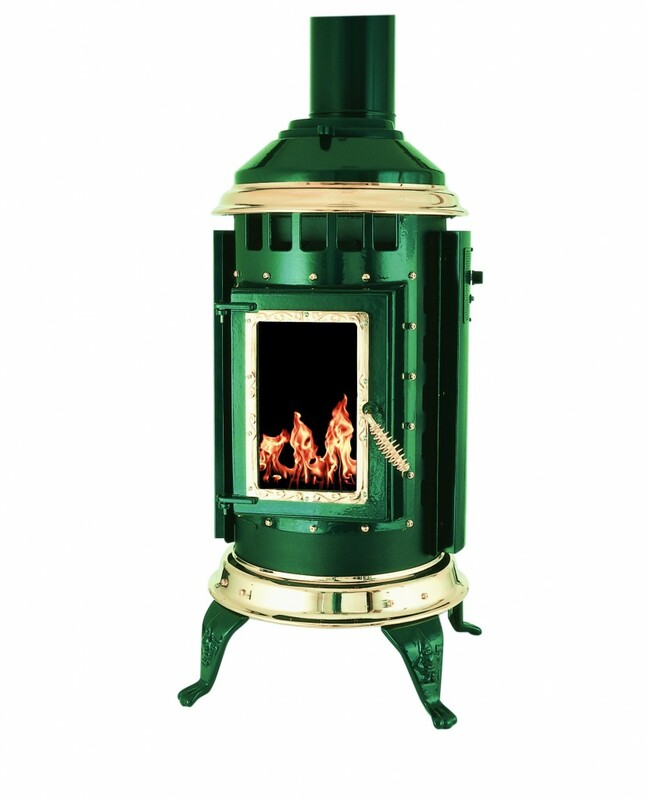 Thelin™ Gas Stoves are designed to allow for back up heat encase of a power outage. 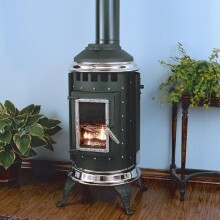 The variable gas control system uses a pilot light which does not need electricity to operate. A convenient push button igniter allows lighting ease so the pilot can be shut off when not in use. Visit the style and colors page. 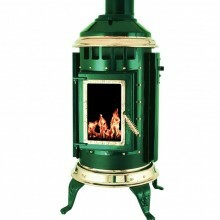 This EPA certified wood stove surpasses the strictest emission standards in the US, an amazing 3.62 grams per hour.